Description: Classic Invaders is an alien shooter game written by Todd Steinackle. I (bitRocky) accidentally found this game in Grunch, but it couldn't load the sounds. some ogg files failed to load. So I converted them to wave sounds and now it works! This is a recompile from HAKs version because some sounds failed to load. 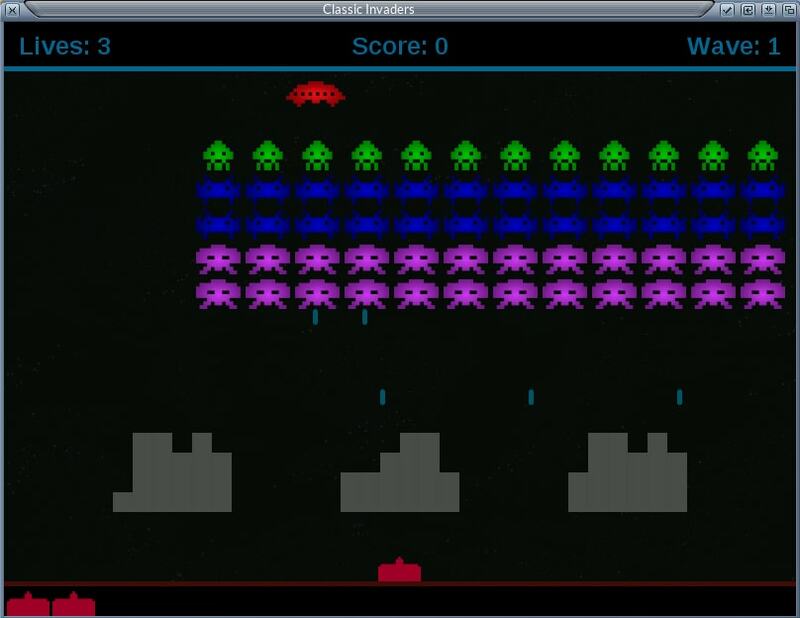 Classic Invaders is an alien shooter game written by Todd Steinackle. used to exit any screen and the program itself. The source can be built on Windows, Mac OS X, and Linux with no modifications. The SDL, SDL_image, SDL_mixer, SDL_ttf, and boost libraries are needed.